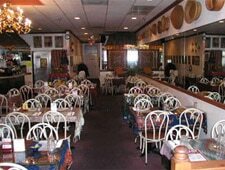 Perhaps the most authentic Thai food in the metro area. : Local Thai cooking teacher and chef around town, Nongkran Daks, has her own place way out in the 'burbs. It's small and pretty, decorated with many of her artifacts. She turns out her smooth curries and peanut-sauced salad khaek, plus a whole range of traditional Thai dishes that don't often appear in area restaurants. Consider the khao tang na tang, an appetizer of ground pork and chopped shrimp with a peanut sauce, or the pineapple and shrimp curry with slivers of fresh pineapple. She offers khao soi, a mild Northern Thai chicken curry served on noodles. Among the more familiar dishes, look for the appetizer tod man made from either fish or shrimp, and the fried tofu. Other entrées include a whole deep-fried flounder, Crying Tiger and crispy duck. A traditionalist, Daks plays it straight and never falls prey to the labor-saving tricks that destroy good Thai flavors. Incidentally, Daks beat Bobby Flay in a pad thai throw-down. Since then, Thai Basil is jammed at mealtimes.